I am damn sure that many of you must have faced the most popular blue screen of death error on Windows, but what do you think about facing a similar error on your premium iOS gadget? 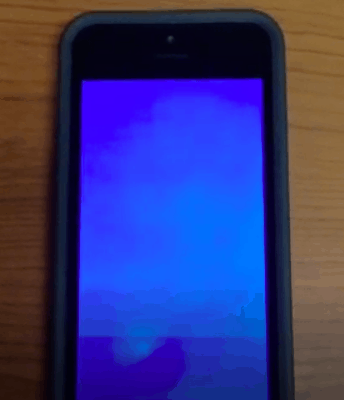 I know it sounds unusual, but some users are complaining about encountering a blue screen of death error on their iPhone devices after updating to latest iOS 7.0.2 firmware. More interestingly, it only occurs on iPhone 5s devices with iWork applications installed. The error reboots the iPhone 5s device with a BSOD error on launching any iWork application. Apple has recently made iWork suite a free application collection for latest iOS devices owners. It is not a pre-installed application on iPhone 5s and iPhone 5c devices, but users can download them from App Store on their latest iPhone 5s or iPhone 5c device. Apple has implemented iWork applications with iCloud on iOS to provide real-time syncing between OS X and iOS devices. 3. Once doc is opened, tap Home button. iPhone INSTANTLY crashes. Blue screen, then automatic reboot. The issue is said to be there since iOS 7 rollout to the general public. Apple has already announced an update through its developer channel that major iOS 7.1 update is under process, which will surely fix all these issues. As you can see in the video, the application just crashes whenever some open the recent document on his iPhone 5s. The issue is causing due to iCloud integration of iWork applications on iOS 7. While Apple is working on its fix for the issue, we have tried a trick that temporarily fixes this issue on iPhone 5s. It is very clear that people can not hold using of iWork application’s on their devices, and if such bugs are popping up on some popular application than it will be tough for Apple to defend the era. Go to “Settings -> iCloud -> Documents & Data”, switch off the Pages, Keynote and Numbers options. You can fix the BSOD error by following these tips on your iPhone 5s, but to get a permanent fix of the issue wait for Apple.